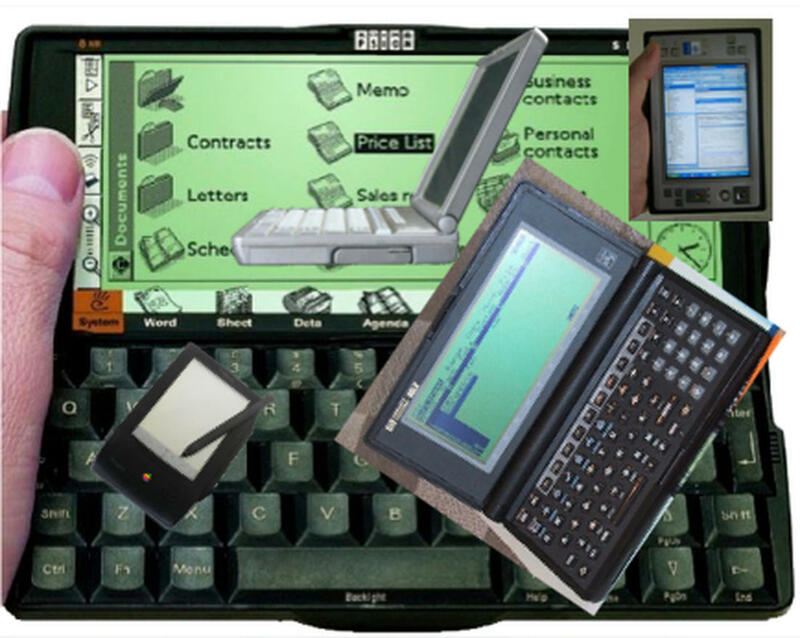 Summary: Difference Between Handheld Computer and PDA is that A handheld computer, sometimes referred to as an Ultra-Mobile PC (UMPC), is a computer small enough to fit in one hand. While a PDA (personal digital assistant), which often looks like a smart phone, provides personal information management functions such as a calendar, an appointment book, an address book, a calculator, and a notepad. A handheld computer, sometimes referred to as an Ultra-Mobile PC (UMPC), is a computer small enough to fit in one hand. Industry-specific handheld computers serve mobile employees, such as parcel delivery people, whose jobs require them to move from place to place. A PDA (personal digital assistant), which often looks like a smart phone, provides personal information management functions such as a calendar, an appointment book, an address book, a calculator, and a notepad. A PDA differs from a smart phone in that it usually does not provide phone capabilities and may not be Internet-enabled, support voice input, have a built-in camera, or function as a portable media player.